When you’re new to an area or want to explore your sizeable hometown, some of the best resources are the bloggers that live there. Blogging has gotten so big in Austin a few local bloggers have received awards along with large readerships. If you’re looking for a little reading material on Austin you’ve come to the right place. Pick a category to find a few of our favorite Austin blogs. CultureMap – Years ago CultureMap established its Austin online publication that has grown steadily ever since. Basically, everything in Austin is covered from real estate to society to business developments. Austin Insider Blog – The Austin Insider Blog is written by the staff at AustinTexas.org primarily for visitors, but it can be very useful for new residents and long-term locals alike. The bloggers provide advice on what to see and do all around Austin. Austin Amplified – Austin Amplified is the blog for print publication Austin Monthly. Events and music are the two primary topics you’ll find covered in the very active blog. Natalie Paramore – Natalie Paramore shows off Austin’s deliciously healthy side beyond the bar-be-cue and queso. Not only will you learn about local restaurants that serve up fresh fare, you’ll also get recipes that are easy to prepare at home. So Much Life – Kelsey loves sharing her Austin eatery discoveries with readers on her blog So Much Life. Her pictures are always mouthwateringly amazing, and she keeps an impressive publishing schedule for a part-time blogger. Eater Austin – It may be somewhat syndicated, but Eater Austin is one of the most comprehensive blogs for local foodies that you’ll find. Austin Music Source – The Austin Music Source is the brainchild of the Austin American-Statesman. There’s enough reading material covering every genre of music that you’re sure to be entertained for hours. Side One Track One – This blog is a great example of Austin quirkiness and our love for live music. Side One Track One will keep you in the know about upcoming live shows featuring local artists. 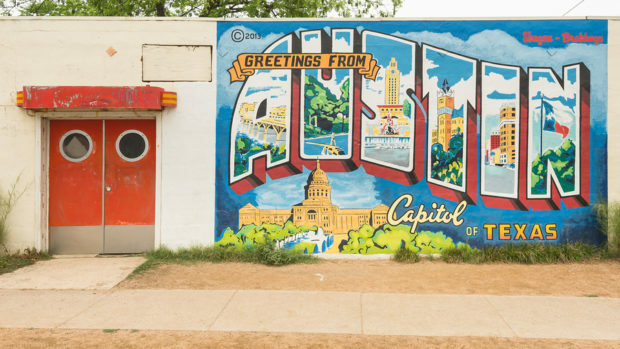 Built In Austin – The Built In Austin blog is geared towards the tech entrepreneurs that have been in Austin for decades. It’s very heavily focused on Austin tech industry developments with national and global news thrown in as well. Austin Startups – The name says it all. Austin Startups is written by local entrepreneurs for local entrepreneurs and small businesses. The organization behind the blog is heavily invested in helping shape the business landscape in Austin. Austin Moms Blog – Austin Moms Blog is the epitome of parenting blogs in Austin. It’s been pumping out posts since 2011. You’ll find general parenting advice, tips for parents that live in Austin and local events for the entire family. Life by Dylan – Dylan Benjamin proves how hip and stylish Austinites are whether they have kids or not. If you have the goal to keep being fabulous after entering parenthood check out the Life by Dylan blog. Life by Lee – Lee is Dylan Benjamin’s better half. She too provides tips for hip Austin parents, but it’s her fashion savvy at all life stages that really shines in the Life by Lee blog. Of course, we couldn’t end the list without mentioning the Square Cow Movers blog! We like to keep readers up-to-date on what’s happening in all our moving locations, including our Austin headquarters! You can find insider advice on moving around Austin and what to do once you get here.